First things first, WE represent you, NOT the insurance company. STEP 1 - Contact us for an Free Inspection. STEP 2 - If we find damage, we will file the claim with you. STEP 3 - We meet the Adjuster to determine the scope of loss. STEP 4 - You choose material and a convenient construction date. STEP 5 - We complete the project and issue warranty documents. A. 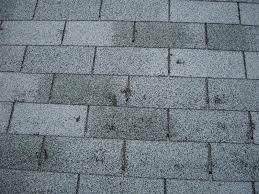 In a hailstorm, most hail that hits your roof and house may be too small to cause any damage. However, a percentage of the hail may be large or irregularly shaped, which can cause severe damage that may not be readily apparent and may not start to leaking for some time. It’s best to have your roof inspected by a state licensed roofing contractor to determine if you need to file an insurance claim and have an insurance adjuster assess the total amount of damage incurred. A. No two houses receive the same amount of damage in a storm. Your neighbor may have sustained extensive damage, and you may have received none. The insurance company will only pay for the actual damages incurred. If the entire roof was not damaged, unfortunately the insurance company cannot pay for the whole roof. However, if is it border line, it always helps to have your roofing contractor inspect the roof with your insurance adjuster to accurately assess all damage to the roof. Sometimes insurance adjusters may not be able to see all the damage if they’re not able to walk on a step roof and photograph certain areas. Aqua Roofing ensures a helpful presence to look out for your best interest and assist the insurance adjuster if needed with damage assessment, photographs, and measurements. A. It is always prudent to get more than one estimate. However, when insurance is paying for the work, the dollar amount of the estimate is not very important as long as it is equal to or less than the insurance company estimate. In all such cases, with Aqua Roofing, you will only be paying your deductible, so your cost with us will be what the insurance company pays, plus your deductible. Therefore, your decision should be based on going with the contractor that you feel most comfortable with and whom you feel will perform the best job. Hail, wind and storm damage are considered an insurance loss on your homeowner’s policy. 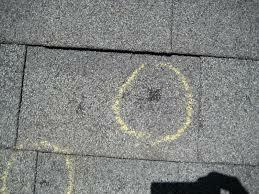 Most insurance companies will pay the entire cost, less your deductible, for replacing the roof if it is damaged. The claim is also considered a natural disaster and does not count against you for future rate increases. Aqua Roofing in Texarkana specializes in accident and weather related damage repair and replacement; including exterior roofing, gutters, siding, widows; and interior painting, sheetrock, ceiling texture, flooring, and carpet cleaning. We will help you deal with your insurance company and meet with your insurance adjuster if requested. Our involvement prevents you from getting stuck with a settlement that won’t cover your costs, or even worse, getting denied. With Aqua Roofing you pay no out-of-pocket expense other than your insurance deductible. We agree to accept what your insurance company will pay for the claim, including your deductible, and ensure the highest quality repair or replacement. You may also benefit from upgrades that we typically offer as signing incentives, such as upgrading the customer from 3-tab shingles to architectural shingles at no additional charge. Our company is also the most credentialed roofing contractor in the area, and our employees are trained to the highest standards. If your Insurance Carrier is not listed above, please contact us for more information.